The aim of this series is to provide discussions of the main topics in general or theoretical linguistics through books of moderate size covering single topics. 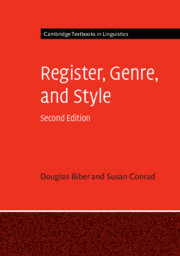 The level of treatment is uniform, and suitable for undergraduate students taking linguistics as part of an introductory course and the editors will oversee the entire series to ensure that the treatments are integrated and the overlap between works is minimal. It will be possible for a complete course to be developed around the texts and it is likely that universities will do so. Topics singled out for treatment are morphology, syntax, phonetics, phonology, sociolinguistics, language acquisition and semantics as well as aspects of historical linguistics.